Angiosperm flowers are interpreted as modified shoots, consisting of an axis = receptacle) and appendages that may be sterile (perianth) or fertile (androecium, gynoecium). Note the use of the prefixes apo- (separate) and syn- (joined), and hypo- (beneath), peri- (around), and epi- (upon) in order to modify the meaning of the word to which they are added. See Judd et al. 2002, Fig. 4.29 and 4.30 for typology, also HERE. Reduced, more or less leaf-like appendages in the axils of which flowers or higher order inflorescence branches are inserted. Hypogynous flowers have the floral parts inserted below the gynoecium. Epigynous flowers have the floral parts inserted on the gynoecium. Perigynous flowers have the floral parts inserted on a hypanthium. A single fruiting structure develops from the multiple flowers of an inflorescence (e.g. fruits of pineapple, sycamore). The receptacle is the central portion of the flower at the end of the flower stalk, to which the parts of the flower (below) are attached. The receptacle may be greatly enlarged so as to bear large numbers of stamens and pistils, as in the Magnolia flowers illustrated above, or in the flowers of most Ranunculaceae and many Rosaceae. In cases like these it is easy to see the receptacle as the axis on which the floral appendages are attached. Tepals are undifferentiated perianth members that may look like either sepals or petals (e.g. Magnolia). Like sepals and petals, tepals may develop as a tube as well as independently. Sepals may be free from each other (aposepaly), or they may develop as a tube (synsepaly), often with distinct lobes reflecting the number of sepal primordia involved in the development of the calyx tube. Petals may be free from each other (apopetaly), or they may develop as a tube (synpetaly), often with distinct lobes reflecting the number of petal primordia involved in the development of the corolla tube. This is the "male house" i.e. the region of the flower in which vagile (hence analogous to the mobile gametes of male vertebrates) gamete-bearing structures are produced (cf. Corner 1964, ch. 6, re "the principle of assignation"). Within the anther sporogenous tissue differentiates that is competent to undergo meiosis so as to form haploid microspores (below). Anthers dehisce (release pollen) in many different ways such as, among others, by the opening of slits, flaps, or pores. These haploid cells undergo a small number of mitotic divisions (1-2) to give rise to the microgametophyte (below). The mature cell wall of the microspore is the wall of the pollen grain. This comprises two or three cells (nuclei), of which one is involved in growth of the pollen tube after the pollen grain has landed on a receptive stigma (below). The other divides and these daughter nuclei function as male gametes (sperms). Fertilization of the egg, and specifically fusion of the sperm nucleus with an egg nucleus, gives rise to the zygote (below). The second sperm nucleus fuses with one or more (usually 2) megagametophyte nuclei (central cell nuclei) to form the endosperm. This pair of fertilizations is characteristic of Angiosperms (double fertilization). This is the "female house" i.e. the region of the flower in which structures are produced that bear stationary gametes (hence analogous to the relatively non-mobile gametes of female vertebrates). In flowers where more than one gynoecial primordium is produced, subsequent development that involves intercalary growth beneath the common insertion bases of the primordia will result in a unitary, syncarpous gynoecium consisting of one pistil with a compound ovary (see below re ovary). Where this kind of intercalary growth is lacking, separate pistils are produced and the gynoecium is apocarpous. 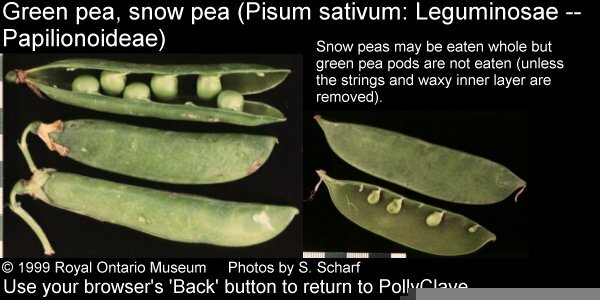 See below for an alternative discussion of the terms "carpel" and "pistil" (compare Judd et al. 1999, p. 55). A single fruiting structure develops from the apocarpous gynoecium (i.e. the pistils) of a single flower (for fruits developing from single pistils, see below - simple fruits). The ovary encloses the ovules. Where the ovary is inserted directly on the summit of the receptacle, with other floral whorls (perianth, androecium) inserted below it, the ovary is said to be superior; the flower as a whole is hypogynous (the remaining parts are inserted beneath the gynoecium). Where the outer whorls are inserted on top of the ovary, the ovary is said to be inferior and the flower is epigynous. Inferior ovaries may also be referred to as hypanthial ovaries. Simple ovaries occur in pistils that develop from a single gynoecial primordium. An apocarpous gynoecium consists of one or more pistils each of which has a simple ovary. Compound ovaries occur in a pistil that develops from more than one gynoecial primordium (a syncarpous gynoecium). A single fruiting structure develops from the single pistil of a flower. The gynoecium in question may be syncarpous (2 or more units joined at least in the ovary) or it may consist of only a single gynoecial unit. The terminology suggested above is a simplified one that attempts to stress the generality of basic fruit terms (capsule, berry, achene, etc.). While this may work for the flora of eastern Canada, it is admittedly inadequate for the diversity of fruits found in over 250,000 species of Angiosperms. An alternative is provided by Spjut (1994). This is the ovule-bearing portion of the gynoecium. Different patterns of placentation (visible in transverse and/or longitudinal sections of the ovary; Judd et al. 2002, Fig. 4.22). A distinct origin for the placenta (as opposed to the ovary wall) during the course of flowering plant evolution is an important component of the "mostly-male" theory of the origins of Angiosperms. This is the space within the ovary, within which the ovules are found. The number of locules will typically correspond to (a maximum of) the number of gynoecial primordia taking part in the formation of a syncarpous ovary. The stalk attaching the ovule or seed to the placenta. As we have seen in Taxus, this is an outgrowth of the funiculus that grows to enclose the seed, becoming fleshy and serving as a food reward for vertebrate dispersal vectors. 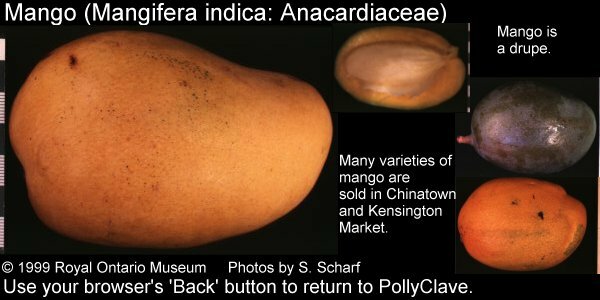 The mace found associated with the seed of nutmeg (Myristica) is a good example of an aril. This is a structure associated with the funiculus and (or) placenta that, when present, appears to be associated with guiding the pollen tube toward the micropyle of an ovule. These grow up around the nucellus, usually leaving only a small aperture through which the pollen tube may penetrate to reach the egg apparatus (the micropyle). In contrast to the Gymnosperms, whose ovules have only a single integument, Angiosperm ovules frquently have two integuments (inner and outer). This will vary in thickness and composition in relation to its function, e.g. hard sclerotestas, or fleshy sarcotestas as in seeds of pomegranates and various Magnoliaceae (also cycads and Ginkgo). 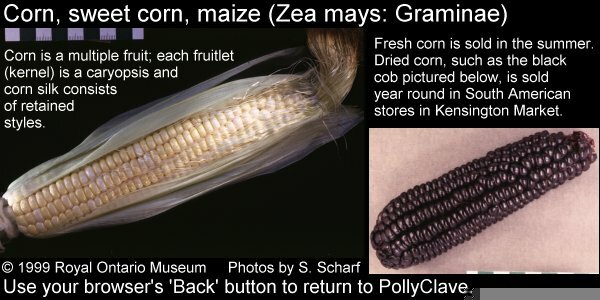 See Schmid (1986) for a detailed discussion of seed coat terminology. This is a cell that is competent to undergo meiosis so as to form four haploid megaspores (below). One or more (typically only one) of these haploid cells undergoes a small number of mitotic divisions (1-3) to give rise to the megagametophyte (below). Megaspores that do not participate in megagametophyte development degenerate. This comprises 4-16 cells (nuclei), of which one, at the micropylar end of the megagametophyte, functions as the female gamete (egg). In most cases the egg is associated with two cells (synergids) that apparently function in directing the pollen tube to the egg. Fertilization of the egg, and specifically fusion of the egg nucleus by a sperm nucleus, gives rise to the zygote. the zygote, in turn, develops into the embryo sporophyte. One or more (usually 2) megagametophyte nuclei (central cell nuclei) fuse with the second sperm nucleus to form the endosperm. This pair of fertilizations is characteristic of Angiosperms (double fertilization). and one (in the monocots) or more cotyledons ("seed leaves"). Upon germination of the seed, the cotyledons may become photosynthetic, or they may serve to channel nutrients from the endosperm to the embryo. Because a single sperm nucleus may fuse with two central cell nuclei the endosperm is usually triploid (as compared with the haploid gametophytes, and the diploid sporophyte). Early in embryo development the endosperm proliferates. Later, it may become absorbed by the developing embryo, or it may be a major component of the mature seed, the nutrients that it contains being mobilized and absorbed by the embryo only after germination begins. Seeds in which abundant endosperm is present at maturity are referred to as being albuminous, whereas those in which endosperm is absent are referred to as exalbuminous seeds. the seeds of many monocots are albuminous; some of the best examples are the single seeds of dry indehiscent fruits like Poaceae caryopses. In these the relatively small embryo ("germ") is associated with massive amounts of starchy endosperm (think of rice, millet, maize, wheat, barley, oats, rye, etc.). In these cases the cotyledon acts as a haustorium, mobilizing the nutrients in the endosperm for use in the growth of the germinating embryo. The seeds of palms, e.g. coconut, provide further examples in which the tiny embryo is embedded in the oily endosperm (the coconut "meat"; the coconut as it develops on the tree is a drupe, and is usually sold in stores after the fibrous pericarp has been stripped away from the hard-walled endocarp or pyrene). the Fabaceae provide a good examples of exalbuminous seeds in which the seed coat encloses a massive embryo that consists principally of the two cotyledons which contain the stored nutrients needed for germination and the early growth of the seedling. The genus Prosopis is unusual in that its seeds have abundant endosperm surrounding the embryo. This is the portion of the pistil that elevates the stigma (below) above the ovary. This is the pollen-receptive region of the pistil. In the textbook (Judd et al. 2002, p. 64; cf. p. 67) use is made of the term "carpel" where I would prefer to speak of gynoecial units. The reason for my preference is that "carpel" has been defined (e.g. in the glossary of the Angiosperm Phylogeny Website) so as to be homologous with a megasporophyll (compare the megasporophylls of the cycads). In many flowers it is difficult, if not impossible, to relate gynoecial development to that of one or more megasporophylls. This may be especially true true where ovules arise directly from the floral apex (basal placentation). The "mostly-male" theory for the origin of flowers suggests a possible explanation why it might be unlikely that some or all gynoecia are built up from megasporophylls. Reference merely to gynoecial units carries no such theoretical baggage with it, and leaves open the question of how Angiosperm pistils evolved. When growth occurs beneath the insertion of the perianth and androecium members, the resulting tube is called a "floral tube" or hypanthium. In some cases, e.g. some Fabaceae and Rosaceae, the hypanthium may be inconspicuous but nevertheless present. Flowers with hypanthia may be referred to as perigynous. Gymnosperm and Angiosperm reproductive morphology may be contrasted in the light of speculative new theories about the possible origin of flowers such as "The mostly male theory of flower evolutionary origins: from genes to fossils" (Frohlich & Parker 2000). These notes review the differences in reproductive structures between Angiosperms and Gymnosperms, relevant terminology, and the "mostly-male" theory. An ovule of Ephedra in longitudinal section (left) suggests one of the reasons why earlier workers imagined the Gnetales might be the closest Gymnosperm ancestors of the flowering plants. Other reasons are the occurrence of vessels in the wood of Gnetales, the presence of sterile perianth-like structures surrounding the microsporophylls and ovules, and the organization of these "flowers" onto compound strobili. In all three genera the megasporangium (nucellus) is enclosed by two or three envelopes. What if only the inner one is the integument, and the outermost one is equivalent to the ovary wall or perianth of Angiosperms (above)? The anthophyte theory of the origin of flowering plants argues that these similarities between Gnetales and Angiosperms are due to their sharing a common ancestor not shared with other seed plants. Recent evidence from analyses of DNA sequence variation suggest, however, that this is not the case (e.g. the five-gene tree of Qiu et al. 1999). Likewise, doubt has been cast on the homology of Gnetalean and Angiosperm vessels. As described below, an alternative theory for the origin of flowering plants has recently been advanced. The mostly-male theory is based on observations of the duplication, in seed plants, of a nuclear gene associated with reproductive morphogenesis and the subsequent loss, in flowering plants, of one of the two copies of this gene. Simplifying the original theory greatly, the argument can be outlined as follows: ovules, usually sterile ones, may be produced ectopically, i.e. in positions where they are not expected to occur. Ectopic ovules on microsporangiate strobili (above, center) could have replaced the function of female strobili (not shown above), if these were lost as a result of the ancestor of flowering plants losing the duplicate gene referred to above. As suggested at the right, an angiosperm pistil could have resulted from an ovule-bearing but otherwise sterile microsporophyll (the placenta) becoming enclosed by another sterile microsporophyll (the ovary wall). Perianth members might have developed by sterilization of the most basal microsporophylls. © 2000 Botany Department, University of Toronto.